Ink and laser toners at deep discounts. Everyone is suffering from the downfall of the economy, so it is more important than ever to save money where you can, but without sacrificing quality to do so. For businesses, whether small or large, saving money is of the utmost importance. Therefore, in order to save money, perhaps you would like to buy your printer ink cartridges at a discount, as they are an important part of any business. Discounts on printer cartridges, laser toners and accessories for printers can be hard to find, but no longer. With a specialization in quality cartridges at incredible discounts, you are sure to find the cartridge or toner that you need at an amazing price. With a very high volume online business, you can get those steep discounts without compromising the quality of the cartridges. By purchasing incredibly high volumes of cartridges direct from the manufacturer, it locks in an incredible discount, which in turn, is passed directly on to you. They are sold exclusively on the internet, keeping overhead at an absolute minimum, creating even more savings for you. With these incredible savings, comes the addition of no added sales tax to your order, no matter where you live. This results in the best prices on the web for your printing cartridge and printer needs. With 24-hour shipping and free returns within 10 days if you are not 100% satisfied with your purchase, you cannot go wrong. You are guaranteed the highest quality at the best possible price, along with superior customer service. All of these things create the most easy, inexpensive and pleasurable online ordering experience for all of your printing needs. To ensure that you receive only the highest quality printing cartridges and toners, they are imported from an ISO-9001 factory. This means that the cartridges and toners are all manufactured at the highest level of quality and performance. With replacements for Canon, Lexmark, Brother, HP, Epson, and more, you are sure to find the replacement that you need for your printer. You have the guarantee to receive the cartridge replacements that you need for any printer and at the lowest possible price on the web today. Just as an example, if you need a new black mf4570dn toner or a mf4450 toner cartridge for a Canon printer, a set of four could cost you over $250. With a bulk purchase from Canon for the same cartridges, your price would be under $100. That is a savings of over $150! With deals like that, you cannot go wrong. All of these ink cartridges and toners are shipped via ground mail and are shipped right away. Free shipping is available in the US, which is sure to entice you to buy these cartridges versus OEM cartridges. This is only the beginning of the savings that you can partake in. with a purchase of a larger volume, you can save even more. 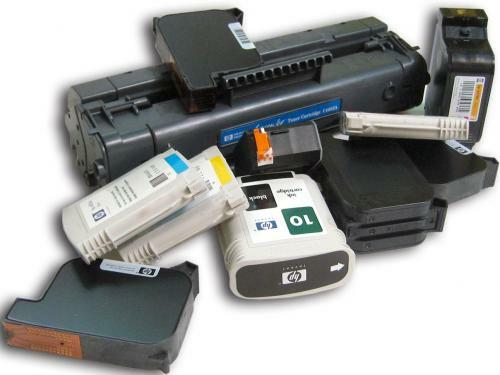 You are sure to find the ink cartridge or toner cartridge that you need for any printer that you have in your office. Save money on your printing needs, when that money can be better spent on other office needs. About the Author: Andrew Yeung is president of CompAndSave, a leading online provider of premium printer ink cartridges, including remanufactured and compatible printer ink cartridges. With deals every month and a 100% customer satisfaction, CompAndSave provides an easy way for people and businesses to purchase printer ink and accessories. Measuring a mere 19.6 cm tall this printer can fit in any shelf, desk or compartment. It uses low space making it ideal for any small office. In addition to its small size are its stylish and adorable looks. This printer creates charm in any office or home environment.